Jazz piano master Mike Longo is joined on his new recording, "Only Time Will Tell," by simpatico colleagues Paul West on bass and Lewis Nash on drums for a deeply swinging trio session to be released by his Consolidated Artists Productions label on March 31. Longo, who had a long and fruitful association with trumpeter Dizzy Gillespie as his pianist and musical director, includes two Gillespie compositions as well as several of his own striking originals and a pair by Thelonious Monk. 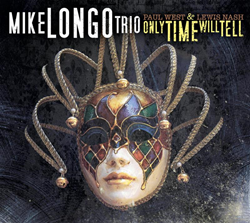 "Only Time Will Tell," the new CD by Mike Longo and his trio. Connoisseurs of jazz piano trios will welcome the release, on March 31, of "Only Time Will Tell," the new trio recording by piano master Mike Longo with Paul West on bass and Lewis Nash on drums. The disc is Longo’s 20th for the CAP (Consolidated Artists Productions) label, and his 26th since debuting as a leader in 1962. Included on the CD are two compositions by Dizzy Gillespie, with whom Longo worked as pianist and musical director for 26 years, until Gillespie’s death in 1993. The up-tempo “Wheatleigh Hall” was first recorded by the trumpeter in 1957 on an album with Sonny Rollins and Sonny Stitt. The gently swinging “Just a Thought,” written by Gillespie in the ’60s as a piano feature, had never been previously recorded. Longo’s trio-mates had their own associations with Gillespie. West had done two stints with the trumpeter—in the ’50s with Dizzy’s big band and again in the ’60s with the quintet that included Longo. Nash had worked with Gillespie on several occasions in subsequent years. After earning a bachelor’s degree in classical piano at Western Kentucky University, in 1959, Longo spent two years touring with the Salt City Six, the Dixieland group, and was hired at the Metropole Café in New York as one of the club’s house pianists. In his two shifts a day, he backed Coleman Hawkins, Gene Krupa, and Henry “Red” Allen, among many others. Gillespie, who first heard the young pianist at the Metropole, hired him in 1966. Longo went on to make nine albums with the trumpet legend, beginning with "Swing Low, Sweet Cadillac" in 1967, and has also recorded with Astrud Gilberto, Lee Konitz, Buddy Rich, and Moody, to name just a few. He cut the first album under his own name, "A Jazz Portrait of Funny Girl," in 1962; his last 20 have appeared on Consolidated Artists Productions (CAP), a musicians’ cooperative label managed by Longo and his wife. He also has enjoyed a successful second career as an educator and creator of instructional books and videos. Since January 6, 2004, the anniversary of his friend Dizzy Gillespie’s death, Longo has presented concerts every Tuesday evening in the Gillespie Auditorium of the New York City Baha’i Center. Longo will appear there 4/25 with his 17-piece New York State of the Art Jazz Ensemble featuring Ira Hawkins. He’ll be performing at Mezzrow 5/25 with Paul West. 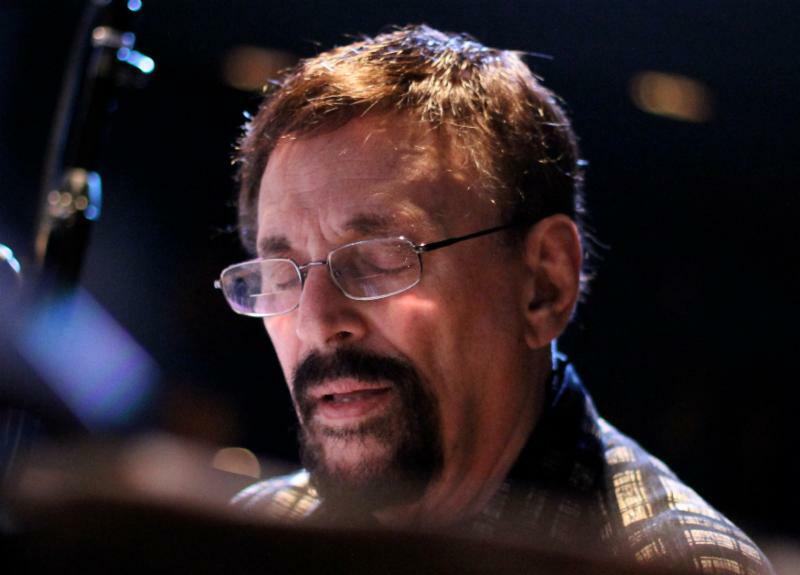 Pianist Mike Longo, whose new "Only Time Will Tell" will be released March 31.